2011 April 07KDT Optometry – Excellence Is The Only Option! 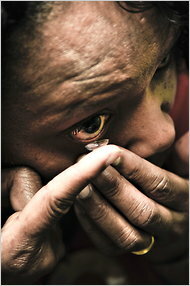 | KDT Optometry - Excellence Is The Only Option! In “Patient Money,” the New York Times (4/2, B5, Andrews) discusses presbyopia, a condition that occurs when the “lens of the eye becomes harder and less elastic,” resulting in “a gradual worsening of the ability to focus on objects up close” for those over 40. Having presbyopia is “‘like having a camera with no multifocal option,’ said Dr. Rachel J. Bishop, chief of the consult services section of the National Eye Institute.” The article explains various options for correcting the condition, including reading glasses, bifocal or multi-focal contact lenses, and progressive bifocals. The New York Times (4/1, Parker-Pope) “Well” blog also covered the story.